The primary focus of a Tusk & Mane safari is the wilderness itself. An experience that takes you back in time to those legendary “Hemingway” escapades in a part of Africa that will reconnect you with nature and replenish your senses. We offer flexible safaris between three Fly Camps in the heart of the lower Zambezi national park. Tafara Springs is located in the Rufunsa Valley at the foot of the escarpment. Kulefu Island and Chula Island are tucked away on remote Islands in the prime game viewing area near Jeki airfield. The experience is a back to nature wilderness adventure. Game viewing is totally flexible but is primarily on foot or on the canoes; Game Drives, Boat Cruises and Fishing are still very much on offer as well. The camps are simple with old style luxury camping, under the stars and around the campfire. We recommend a minimum 4-night stay with us so that all activities can be experienced properly. We place our base camp at one of our 3 sites and guests do one or two nights fly camping at either of the other 2 sites in the middle of their stay. 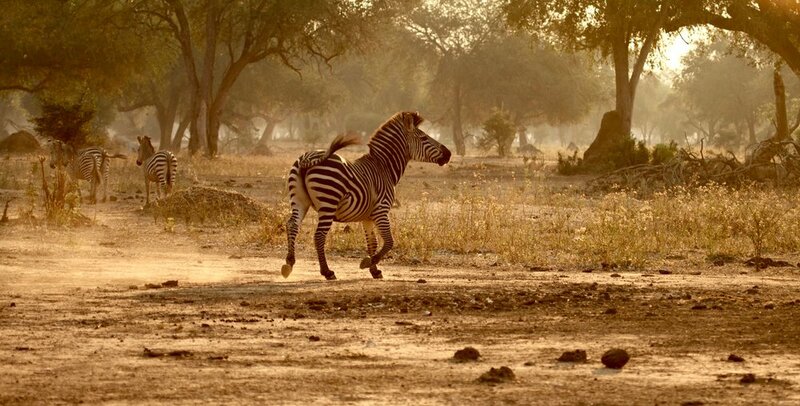 The Lower Zambezi is one of Africa’s most thrilling safari regions. Game viewing from the canoes and on foot gives a different feel to ones safari, making it adventurous and a very personal interaction with this incredible eco-system. The valley is a huge rift in the earth's crust, through which a mighty river flows. Over millennia, mineral-rich volcanic soils deposited by the Zambezi have nurtured lush vegetation, while old meanders and oxbow lakes add to the attraction for wildlife. The Lower Zambezi National Park, by virtue of the Zambezi River and its parallel escarpment, is definitely one of Africa’s most scenic wildernesses, home to an impressive quantity and variety of wildlife that can be viewed not only on the more usual land based safari activities but also on a variety of water based activities and in the camps themselves. Tusk and Mane Safaris operates out of three prime locations in the heart of the Park. Tafara Springs is located in the Rufunsa Valley at the foot of the escarpment. Kutali Island and Chula Island are tucked away on remote Islands in the prime game viewing area near Jeki airfield. Our flexible safaris allow our clients to experience the best of both worlds in this beautiful Zambezi Valley. Relax on the river or follow ancient Elephant trails into the hills. Born in the farming town of Tzaneen, neighboring the Kruger National Park in South Africa, Kyle spent his childhood exploring the Kruger and its surrounding wilderness areas. With a passion for wildlife and tourism Kyle joined &Beyond, one of Africa’s most elite Safari companies. He qualified with excellent grades and guided for five years in their luxury lodges across South Africa. In 2012, Kyle left for Zambia, where for the next 3 years he was pro guide and manager at Sausage Tree Camp, Lower Zambezi National Park. He was highly involved in the mammoth task of designing the new National Guide Training Program in Zambia and travels to all of its National Parks to train guides and conduct the exams 3 times a year. As a private guide for birding, photographic and fishing safaris for the last few years, he and his guests have explored most of the Southern African wildlife areas from the Eastern Cape in South Africa, the Okavango Delta in Botswana, the National Parks of Zimbabwe and further north through the whole of Zambia and Uganda as well. Luke Evans was born in Monze, Zambia in 1982, the son of Mark and Virginia Evans, safari operators in the Kafue, South Luangwa and Lower Zambezi National Parks. Luke grew up a bush boy living in all three of these great National Parks. Educated in Kenya and Europe, he is trilingual speaking Chi Nyanja , English and German. He has since worked with several safari outfits including Robin Pope, Sanctuary and Sausage Tree. In 2015 Luke followed his heart in pursuit of his childhood dream to start a safari business in Zambia. 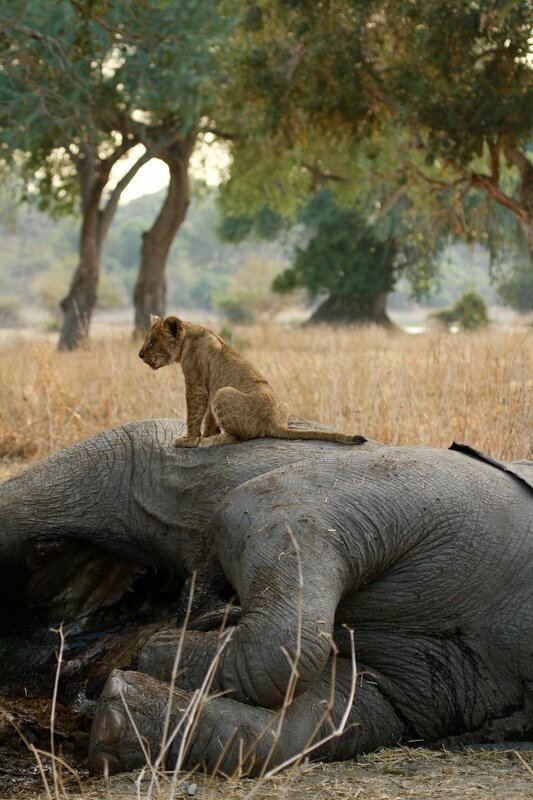 With Kyle on board, and an operating licence granted for three unique sites in the Lower Zambezi National Park, Tusk and Mane Safaris was born. “Tusk and Mane is about a simple but pure safari experience tailored to all the best aspects of the Lower Zambezi National Park. Ours’ is a “back to roots” approach built around a great Zambian team, excellent guiding, ice cold drinks, hot bucket showers, comfortable beds, good homemade food and our passion for this great Zambian wilderness”. Best guides - Tusk & Mane is a lovingly owner operated safari operation. Kyle Branch and/or Luke Evans will guide and host each safari. Both have extensive safari experience. Kyle is one of Zambia’s top safari guides. He was born close to the Kruger National Park in South Africa and trained with &Beyond. Kyle has worked in the Lower Zambezi for six years and is renowned for his knowledge and enthusiasm as well as being one of Africa’s leading fishing and birding guides. Luke was born in Zambia and grew up living in all three of Zambia`s major national parks. He speaks a number of the local languages, was schooled in both Africa and Europe and has been in the safari industry most of his life. Two more experienced and passionate professionals would be hard to find anywhere in Africa. Variety - Experience the Zambezi River from the winterthorn forests on remote Islands, all the way north through the many habitats into the escarpment for the best of both worlds. Unique - The only upmarket fly camping tour operator in the Lower Zambezi National Park. Ultimate safari activity mix – Walking, canoeing, day & night drives, birding, fishing and boating. Easy access - Daily scheduled flights from Lusaka, Mfuwe or Livingstone to/from Jeki airstrip (June-October). Outside these months, seat rates are available. Compared to many remote fly or bush camps, our transfer time is short – around 30 minutes. It is easy to combine our product into the Zambian circuit. Small and personal - No more than eight clients. Pay for five and the safari is exclusively yours. Our fly camp sites are all in very private areas and quite a distance away from the areas where the other camps do activities. Value – The best value for money inside the park for the best wildlife experience in Africa. Family groups welcome - Family groups that pay for 5 will have the camp exclusively for their safari. Minimum age of 8 years. True adventure - The ability to experience the best of the Lower Zambezi, from our remote island sites and into the escarpment as part of a fly camp safari, is something VERY unique.